Five short years ago, the Paul L. Foster School of Medicine graduated its 40-student inaugural class. While many of the graduates went on to other cities in the state and nation to complete their residencies, El Paso was where they first donned their white coats and earned the title of “doctor,” giving the border city a special place in their hearts and serving as a constant reminder of why they chose to practice medicine. 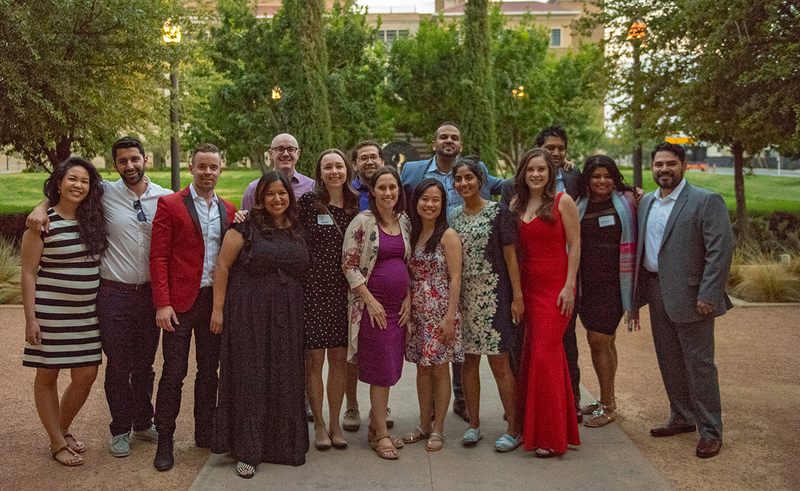 To commemorate their first five years as doctors, the inaugural class reunited in El Paso Friday, June 8. Initiated by Grace Ng, M.D., and Jillian Sanford, M.D., the alumni organized the reunion to thank the community that made their medical education possible. 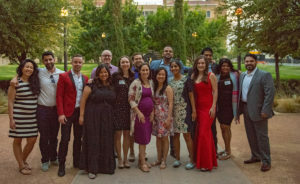 To commemorate their first five years as doctors, the Paul L. Foster School of Medicine’s inaugural class reunited in El Paso Friday, June 8. Initiated by Grace Ng, M.D., and Jillian Sanford, M.D., the alumni organized the reunion to thank the community that made their medical education possible. “We had all talked about it when we graduated, how we wanted to do a five-year reunion,” Dr. Ng said. In December, several of the classmates gathered for a wedding. That’s when they decided to commit and move forward with their reunion plans. At the event, there were plenty of laughs, hugs, and sharing of photos on smartphone screens as the alumni caught up on their lives. When Dr. Ng thinks of the Class of 2013, she thinks of one word: pioneers. After graduation, Dr. Ng went on to the University of Oklahoma in Tulsa for her general residency, which she finishes in June. This fall, she will head to the University of Southern California for a fellowship. Kathryn Horn, M.D., associate academic dean for student affairs, was pleased to catch up with the class and hear their many stories of success. Returning to the TTUHSC El Paso campus, Dr. Ng was impressed with how the university has changed.